As Traded. In working condition, but does have some rust. If you are looking for a budget friendly DIY project that will pay some huge dividends as far as improving your health and fitness is concerned – look no further! We’ve had some amazing Star Trac spin bikes come into the warehouse that have given someone heaps of brilliant work-outs, and it shows. If removing rust and bringing things back to their best is one of your talents and/or passions contact us today. A little more about the V-Bike itself. Chances are you would benefit from an effective indoor cycling workout. For the ultimate in realism for your group cycling program, you can’t go past the Star Trac V-bike. It’s revolutionary mountain-bike-inspired design and unique features make it the ideal choice for an exhilarating, high-intensity cycling workout with incomparable comfort. A bike long admired and respected by the health and fitness community. Refurbishment:This is an As Traded item and does have some general wear and tear (nicks, scratches and so on), as well as some rust. Buy Star Trac V-Bike Spin Cycle online. 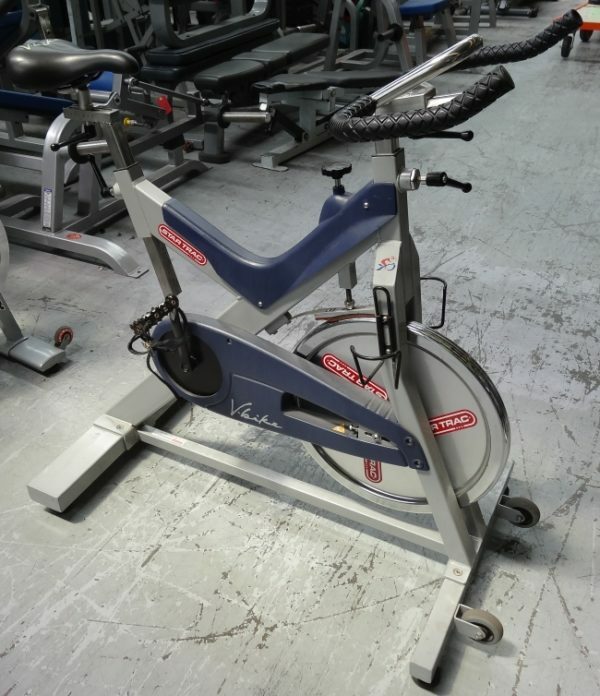 If you are interested in the Star Trac V-Bike Spin Cycle for sale, feel free to enquire above.